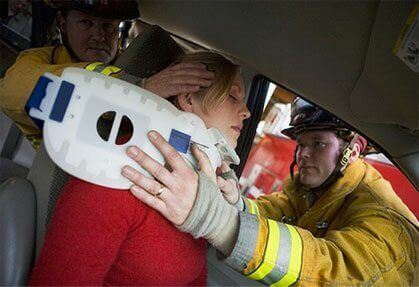 Were you or a loved one seriously injured in an accident through no fault of your own? Our personal injury attorneys can help you recover the financial compensation you deserve. There’s nothing scarier than being in an accident, especially if you end up with a devastating injury. In its aftermath, you may face a painful recovery process that drains you physically, emotionally and financially. The road ahead may seem long, but Chalker Injury Law wants you to know that you are not alone. At Chalker Injury Law, we understand that this is an incredibly challenging time for you and your family. There’s a lot at stake, and it’s important to have legal representation you can trust from an Alpharetta car accident lawyer. If you become one of our valued clients, you can expect to receive personalized attention, compassionate support, and fierce advocacy every step of the way. 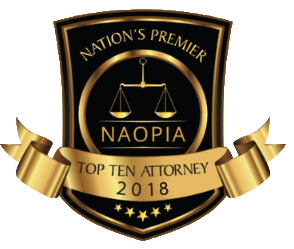 Our seasoned team of personal injury attorneys have built a solid reputation throughout Northern Georgia for our ability to obtain maximum compensation and win settlements for our clients. 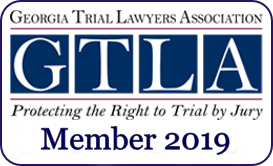 We have a strong track record of success in trials and will always go the extra mile to ensure we are pursuing every possible option and legal remedy available under Georgia law. The state of Georgia has a statute of limitations on personal injury cases, meaning that if you wait too long to bring forward your claim, you may end up forfeiting your right to seek compensation for damages. To ensure that your rights and interests are protected to the fullest extent of the law, it’s important to contact a personal injury attorney as soon as possible following your accident. Give us a call today at (678) 319-9991 to schedule a consultation with an Alpharetta personal injury lawyer to begin the process of bringing forward an injury claim. Injuries seen in personal injury cases range from relatively minor to completely debilitating. Following a major accident, you need time to recuperate and heal. The last thing you want to do is try to understand confusing legal jargon or fill out hundreds of pages of paperwork. Don’t worry, you won’t have to. Chalker Injury Law will take care of this for you. Collect and evaluate evidence: police report, surveillance video, photographs, medical records and bills, doctor’s notes, etc. In order to have a winning personal injury claim, we must establish that someone else was liable for your accident. This hinges on proving the elements of negligence. The first question to ask is: Was there a duty of care owed to you? Drivers have a duty to their passengers and other motorists on the road to operate their vehicle carefully and responsibly. Companies have a duty to make sure the products they sell are safe. Retail stores have a duty to their customers and employees to keep their premises free from hazards. Doctors have a duty to their patients to adhere to medically appropriate treatment. Was This Duty of Care Breached? If someone failed to act in a reasonable manner, they have breached their duty of care to you. A doctor prescribes the wrong medication, fails to sterilize equipment, makes an incorrect diagnosis, etc. Did the Breach Directly Cause Your Injuries? A key component of proving negligence is showing the causal link between the at-fault party’s negligent actions and your injury. A drunk driver’s reckless driving caused the accident, resulting in you getting hurt. His/her level of intoxication impaired their ability to operate their vehicle safely. A company manufacturers a defective product and a consumer is injured while using it. A retail owner fails to clean up a spill in their store and a patron is injured as a result. A patient develops a severe allergic reaction because of a doctor’s prescription error. Can You Confirm The Nature And Extent Of Your Injuries And Prove You Suffered Monetary Losses? The final crucial element in building a strong personal injury claim is to provide credible evidence that illustrates the severity of your injuries and the financial costs associated with your injuries. Receipts for out-of-pocket expenses, including medications, gas mileage, parking fees, etc. The steps you take after a motor vehicle accident can have a big impact on the outcome of your claim. Call law enforcement. Failure to report your accident can be detrimental to your claim. When police arrive on the scene, notify them of any aches, pains and injuries you are experiencing so they can include it in their police report. pick up a copy at a police, sheriff’s, or Georgia State Patrol office. Seek immediate medical attention. Any delay in treatment may be used against you by the insurance company. Even if you have only sustained a minor injury or no injury at all, it’s best to be checked by a medical professional. There’s always the chance that you have an undisclosed condition. Gather contact information of the other driver, passengers and any witnesses. Take pictures of the scene, including any property damage to your vehicle, scrapes bruises or blood on your body, traffic signs, etc. Report the crash to your insurance company. Give them a brief statement of what occurred and the vehicles involved – stick solely to the facts. 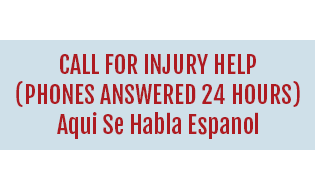 Contact the other driver’s insurance company to make sure the accident was reported and that a claim number and adjuster have been assigned to the case. 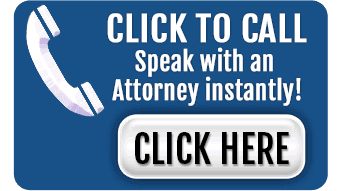 Contact an accident lawyer. Don’t hesitate to reach out to an auto accident lawyer in Alpharetta to get the guidance you need. Do not flee the scene. Do not berate or argue with the other driver. Do not provide any information to the other driver or anyone else involved regarding what you saw or heard before the collision. Do not express any opinions about the accident and do not admit guilt. Do not give the insurance adjuster a recorded statement. Do not offer any opinions related to the collision or injuries. Even if you are honest, they may use what you say against you. Politely tell him/her that you want to consult an attorney before doing so. Do not sign any release waivers without speaking with your attorney. Do not send the adjuster any of your medical bills as they accrue. An insurance adjuster will go to great lengths to convince you to not speak with a lawyer. They may say that we’ll take one third of your recovery or that they won’t offer you any more money if you hire us. Don’t fall for these tactics. They simply aren’t true. purpose is to make a profit for the insurance company and their shareholders, which often means minimizing their payouts to victims like yourself. Many times an insurance adjuster will offer you a quick settlement, which may appear to be good but it is actually dramatically lower than the full value of your claim. Not to mention, this offer probably comes at a time that the full extent of your injuries is not yet known. They may not have taken into account any medical treatment you will need in the future or whether or not you’ll be able to return to work or adequately perform daily activities. The only way to safeguard against this trap is to have a qualified lawyer on your side who can successfully negotiate on your behalf. At Chalker Injury Law, we know the strategies and tactics insurance adjusters use to try and deny legitimate claims and prevent you from obtaining the recovery you deserve. We’ll make sure you’re not taken advantage of. Physical or Collision Coverage is not mandatory but recommended and will cover the cost of repairing or replacing your vehicle. What is the Comparative Negligence Rule in Georgia? The other party in your accident may argue that you contributed to the accident in some way. For example, they may say that you ran a red light at the moment they crashed into your car. In order to determine fault in personal injury cases, Georgia follows the rule of comparative negligence. This means that even if you were partially at fault for the accident, you can still recover damages. The only caveat is that your percentage of fault cannot exceed 49%. If it does, you will be unable to seek compensation. In Georgia, your recovery will be reduced in proportion to your percentage of fault. So, if you are 40% at fault, it reduces your recovery by 40%. If your damages were to cost $10,000 and the other party can prove that you were 40% at fault, your recovery would be reduced to $6,000. Chalker Injury Law is well-equipped to handle any accusations of fault brought forth by the opposing party. If you or a loved one have been injured in an accident through no fault of your own, don’t wait to get the legal help you need. You deserve adequate compensation for your injuries and suffering. We will do everything within our power to help you obtain the maximum settlement award possible in your case. Our veteran accident lawyers are available now to speak with you regarding your unique legal needs, and we’re ready now to take on your claim. Call us today at (678) 319-9991.